Do Megalodon sightings prove the prehistoric shark is still alive today? Is the Megalodon Shark Still Alive? Alleged Megalodon shark sightings over the years have led to the legend of a massive, prehistoric shark that still patrols the oceans of our world. Carcharodon Megalodon was once a real shark — the most formidable predator the world has ever seen — but modern science claims it went extinct long ago. The idea that it might still be alive today is both terrifying and fascinating. Even though most marine biologists and shark researchers tell us it's impossible, it's nevertheless interesting to wonder if and how a huge predatory shark could still exist somewhere in the vastness of the sea. At a maximum length of up to 60 feet, Megalodon was the largest shark that ever lived, a wrecking machine of teeth and muscle that preyed on adult whales. It's hard to imagine there could still be a viable population of such creatures out there somewhere, living undetected. Still, there are occasional reports of massive sharks thirty feet long or more from around the world. Are these real-life accounts of modern Megalodon sightings? If not, what are these witnesses seeing? Is it possible mainstream science has it wrong, and is it still out there? In this article we'll take a look at some compelling evidence and stories that suggest Megalodon is still with us. Some say it could still exist in deep and largely unexplored areas of the ocean such as the Mariana Trench. In the end, it's up to you to decide: Is there enough proof to support the idea that the Megalodon shark is still alive? There has been a lot of controversy surrounding the Megalodon shark in recent years. This has in turn led to a great deal of confusion about Megalodon encounters in modern times, as well as the real creature that swam in our oceans for millions of years. Unfortunately, some people have interpreted this misinformation to mean Megalodon is entirely made up. That is far from the case. Rest assured Megalodon really did exist. One reason we know this is because of an abundant supply of fossil teeth it left behind. These teeth are much larger than those of any living shark, including the great white, and from them researchers have been able to determine the size, weight and even some of the habits of the real Megalodon shark. So, when we talk about Megalodon we are looking at it from two different points of view: Paleontology and Cryptozoology. I think it is important to distinguish the difference. The shark of paleontology can be studied by looking at the fossil record and living sharks in order to puzzle out what the real Megalodon may have been like. From a paleontology perspective, this shark is officially extinct, but that doesn’t make it any less interesting. 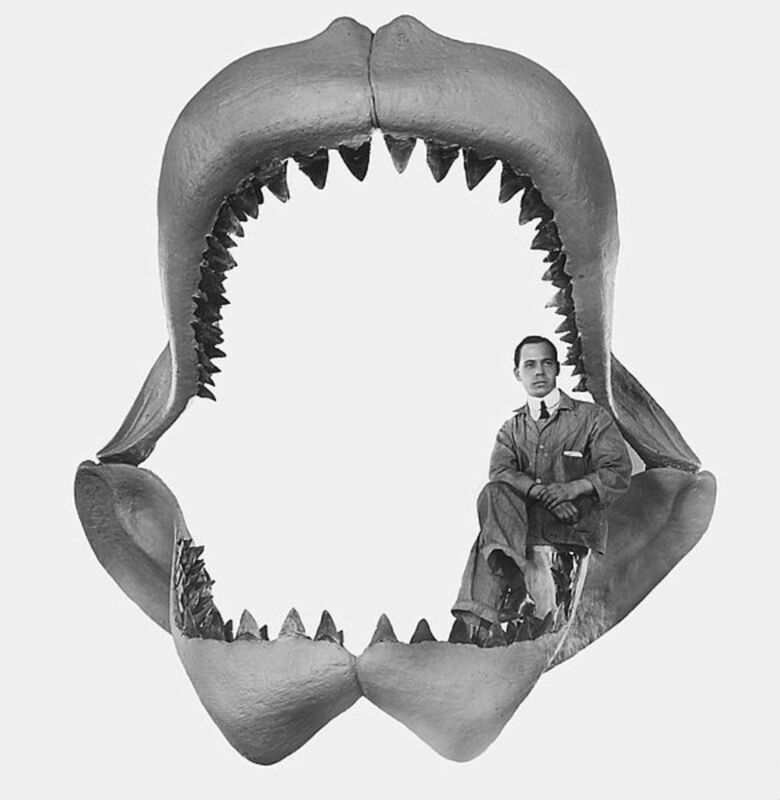 The idea of a living Megalodon is a stance taken by cryptozoologists, and it is not supported by mainstream science. Why would anybody think this is possible? That is the question examined in this article, and later we will get into how and why people think Meg could still be around. I encourage readers to consider Megalodon from both points of view. But let's get down to the real point of this article. 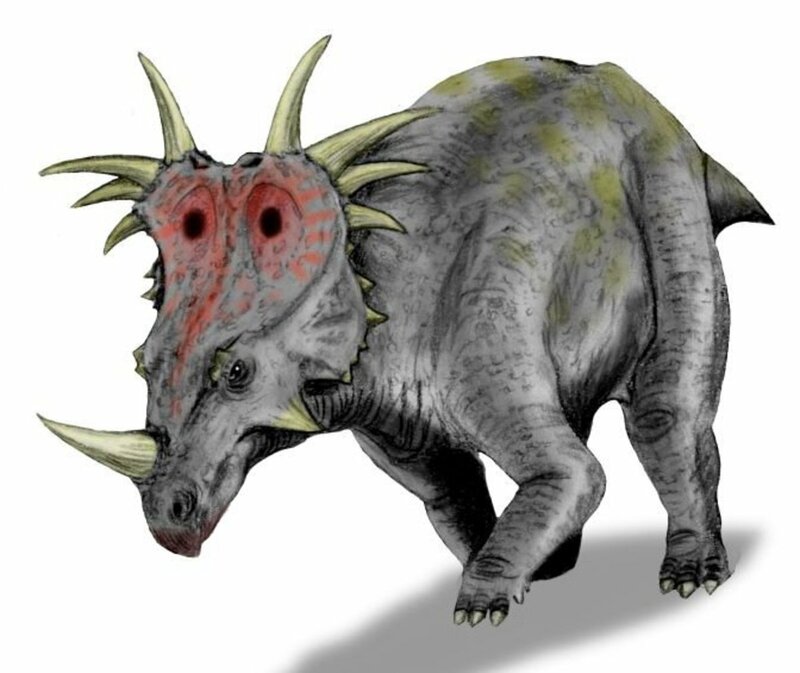 Could this prehistoric predator still be out there even today? We know of the real Megalodon shark only from fossil records and preserved teeth. Because shark skeletons consist mostly of cartilage, these are the only parts that fossilize. No living or dead specimen has ever been recovered in modern times. Also, there are no "official" sightings on record. So what makes us think it could still be around? More importantly, has anything like this ever happened before? In fact, there is precedence for bizarre marine creatures turning up when the odds are stacked against them. Some of them, like the Megalodon shark, were once thought extinct, or believed to only be myths. Megamouth Shark: The incredible Megamouth Shark is another sea creature that can grow to enormous size, but it was not discovered until 1976. This beast eluded researchers for so long because it lives in deep water, and comes closer to the surface only at night. This, some researchers speculate, could be the same behavior that makes Megalodon so tough to spot. Coelacanth: The Coelacanth is an even stranger case. This bizarre fish was thought to have gone extinct 65 million years ago, until they were discovered in 1938, live and well, off the coast of South Africa. The Coelacanth is a prehistoric fish, referred to as the Living Fossil. While they're not giants like Megalodon, the Megamouth, or the Giant Squid, they do still reach over six feet in length. Giant Squid: The Giant Squid is a huge creature, reaching up to 30 feet in length, dwelling in the deepest parts of the ocean. Though science eventually knew of its existence from bodies washed ashore and scars left on the bodies of whales, no live adult specimen was ever caught on film until 2004. Now we know much more about these creatures, and that there is an even larger monster squid out there. Colossal Squid: The Colossal Squid is an enormous real-life sea monster, with the largest specimens weighing over half a ton. Even though it was discovered in 1925, we still know very little about this beast. Colossal and Giant squid sightings by ancient sailors are probably what led to legends of the Kraken sea monster. A Lazarus Taxon is a species that appears to have gone extinct, but then is found alive again. Usually, as is the case with the Coelacanth, there is a small remnant population somewhere that had gone unnoticed, at least by modern science. Often, locals know about the animals, but because a biologist hasn't confirmed it the species remains officially extinct. If such an ancient and strange species like the Coelacanth could endure without detection for so long, why can't the Megalodon be alive out there somewhere after all these years? Huge Teeth Found by HMS Challenger: In 1875, two Megalodon teeth were dredged up during a deep-sea expedition by the HMS Challenger, dated only 10,000 - 15,000 years old. If the methods used were accurate, this would mean it went extinct much more recently than previously believed, and make it a contemporary of modern humans. Ten thousand years is only a blink of an eye in the world of paleontology. It does not take a great imagination to think the Megalodon shark may have survived the past 10,000 years undetected in the depths of the oceans. Fishermen Terrified by Giant Shark: In 1918 an Australian naturalist named David Stead recorded events when local fisherman refused to go back out to sea after an unbelievably massive shark had demolished their gear and taken their catch. These were experienced men of the sea, familiar with whales and large sharks, but whatever they had seen had frightened them so much that they refused to work. According to Stead, they described it as between 35 and 90 meters long and pure white in color. These proportions seem unbelievable. Could a shark really grow to that size? Were these men exaggerating? Or, were they just confused? Massive Shark Threatens 55-Foot Fishing Boat: In the 1960s, the captain of a 55-foot fishing ship reported that a white shark at least as long as the boat passed by while they sat at anchor. The crew refused to officially discuss the sighting, but the Captain gave his account. An experienced sailor, the Captain would have been able to recognize a whale if that is what it had been, but he claimed it was indeed a giant shark. Are stories such as this one based on real encounters, or are they just products of the imaginations of sailors who have been at sea too long? Unfortunately, when it comes to more recent sightings, the casual researcher has to weed through a whole bunch of nonsense to get to any stories with credibility. YouTube is awash with clips of supposed Megalodon encounters — all fake, of course. Megalodon has firmly planted itself in the realm of cryptozoology, and few marine biologists and shark researchers take the creature seriously in the modern day. Occasionally a stray report will wash up of a larger-than-normal shark spotted somewhere. But, given that Great Whites can theoretically grow in excess of 20 feet, it’s certainly possible that these are misidentified animals. Most marine biologists would be thrilled enough to discover a 20-foot Great White! Megalodon Monsterquest Episode: Back in 2009, the History Channel show Monsterquest visited the Sea of Cortez where massive sharks have been reported for years. These beasts are allegedly three times larger than the biggest Great White sharks in the area, and known for decimating the local marine mammal populations. 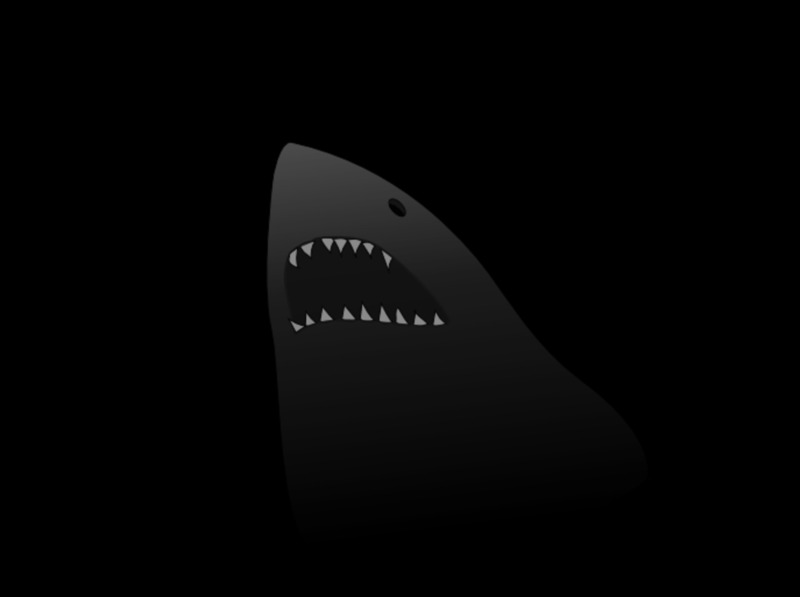 The Monsterquest team failed to find Megalodon, but many still believe that if this giant shark is still around, this would be a prime location for finding it. The Monster of Bird Island: In 2012, on an episode of the show Shark Wranglers called Monster of Bird Island, shark researchers interviewed a group of South African fisherman who claimed there was a huge shark in the area as big as their boat. The boat appeared to be thirty or forty feet long. Was this a Megalodon shark these fisherman had witnessed? Later in the episode, one of the researchers told a tale of a 30-foot shark he had seen when he was younger. This concept of a living Megalodon has spawned some interesting movies and novels, not to mention caught the attention of shark enthusiasts, both amateur and professional. Even the Discovery Channel featured a special on the Megalodon for Shark Week 2012, complete with a massive recreation of the monster. The next year they went on to offer an even more artificial rendition of the creature, leading to the Shark Week 2013 fiasco. The docudrama called Megalodon: The Monster Shark Lives ignited a world-wide interest, largely because so many people believed the footage and actors in the film were real. For Shark Week 2014, the Discovery Channel tried again with a rehashed version of Megalodon Lives. However, the public had caught on by this point, and the same people who were blown away a year earlier were now bent on finding facts. That's good. This is a creature worth exploring, and whether or not it still survives today it is one of the most fascinating real-world monsters that ever lived. What Was Megalodon Really Like? Though we think of the Megalodon as a giant Great White Shark, many researchers believe it may not have resembled one at all. Indeed, some say they were not even closely related. Did it act like a Great White? Most researchers say it was probably similar, but of course there is no way to be sure. So when someone spots a giant Great White Shark, what are the odds it could really be a relic Megalodon? From this perspective, there could be countless undocumented sightings throughout history. So what was Megalodon shark really like? Could the dramatization in the video below be accurate? Like the Great White, Megalodon had serrated teeth. While we think of modern sharks as formidable predators we surely wouldn't want to cross paths with, the Megalodon would have been in a whole new class of terror. Even after countless centuries, some fossilized Megalodon teeth are still sharp to the touch. We can only imagine what they were capable doing to a large prey item like a whale, let alone a human. The largest teeth can be seven inches long — the size of a grown-man's hand. It was the largest and most highly evolved in a lineage of megatoothed sharks. Though they look like larger versions of Great White Shark teeth, paleontologists point to slight differences in the Megalodon teeth and its ancestors as proof that the Megalodon shark is not closely related to the Great White. This would put it in the genus Carcharocles rather than the Great White's Carcharodon. This is a matter still up for debate. Regardless of its heritage, this shark had a set of chompers never seen in the animal kingdom before or since. Researchers have calculated that this massive shark may have had a bite force of 18 tons! A T-Rex had a bite force of only one-third that. The strongest biter in our world today is the saltwater crocodile, and they only come in around 3700 pounds. It's clear that the teeth and jaws were made for destruction. Interestingly, some researchers say it may have bitten off the fins of its prey before finishing it off. That makes the Megalodon tooth arsenal not only powerful, but capable of a certain amount of precision as well. Much like the modern Great White, Megalodon was probably an ambush predator that took its prey by surprise, either from below or by approaching at great speeds. This would have meant it was a very active shark, not some lumbering giant like the Whale Shark. It was a coastal shark, hunting offshore. Again, like our modern Great White. Megalodon would have been found in just about every ocean of the world, preying on whales, dolphins and other marine mammals, and even giant sea turtles. In short, it would have eaten just about anything it wanted. If it were really around, it would not be hard to spot. If still alive today, it’s easy to see that all of the above can no longer be true. A massive, 60-foot shark hunting whales close to shore would surely be well-known, not to mention widely feared. So if Meg is still around, it must have changed its behaviors drastically. Check out the video of Great White sharks hunting below and imagine the Megalodon preying on massive whales in the same manner! It must have been amazing! Scientists think that the Megalodon young lived in shark nurseries like Great Whites do. These are areas, usually close to shore, where young sharks can grow and feed in relative safety. Megalodon young may have started out eating fish or other small prey items, and then moved on to larger prey as they got bigger. So where are the baby sharks? They may be living at great depths like their parents, or it could be possible that they they are so rare and so similar to the Great White that when they are spotted they are simply assumed to be adult Great White sharks. The Livyatan Whale: A Formidable Rival? It's pretty clear that the Megalodon Shark was the most powerful beast in the ancient Miocene ocean, but could there have been another creature just as fearsome that gave Meg a run for its money? The recently discovered Livyatan whale was as big as Megalodon, with teeth over a foot long. It competed with Megalodon for food, but what happened when these two prehistoric heavyweights met face to face? Like modern whales, Livyatan was likely highly intelligent, and may have even hunted in pods. On the other hand, Megalodon never needed to come up for air, and had the element of surprise on its side. Meg also preyed on whales for food, and we can imagine it took down at least juvenile Livyatans. How Did Megalodon Go Extinct? If this shark was such a ferocious predator, why did it die out? Unfortunately, even the strongest creatures are no match for Mother Nature. While Meg inhabited every ocean of the world, the planet was a much warmer place back then. As the environment entered a cooling period, sea levels began to fall and currents shifted, causing not only a cooling of the ocean itself, but also a shift in the food supply. Theoretically, the Megalodon shark either couldn’t adapt to the colder climate, the food issues, or both. There is also evidence that the situation may have been complicated by the evolution of other large, predatory marine creatures which may have infringed on Megalodon’s niche. The rise of species such as Orca (the killer whale) may have speeded Meg's extinction. Does Megalodon Live in the Mariana Trench? For Meg to still be still alive, it would have had to adapt to colder temperatures, a different breeding pattern, and greatly different food sources. Some speculate that Megalodon populations may have survived in the Mariana Trench and other deep parts of the ocean. Certainly we know that whales and giant squids venture very deep, so it is conceivable that Megalodon would have the food it requires. 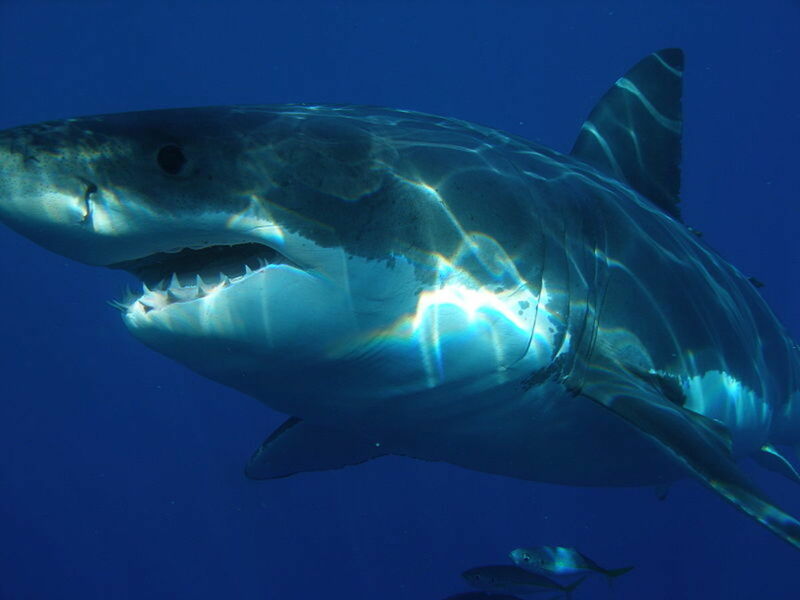 In fact, recent research on Great White sharks shows they may dive fairly deep in search of food. If Meg followed similar habits, perhaps it could have made the adaptations to deep-ocean life much easier than some experts suggest. Unfortunately, the larger an animal is, and the more specific its niche in the environment, the harder a time it has in adapting to environmental changes. It's unlikely that the vast majority of these sharks would have been able to adapt to a major shortage in their food supply. An animal that evolved to feed on large marine mammals would have a tough time switching to oceanic fish, for example. However, what is conceivable is that a small population which had already made some adaptations to a different food sources and lifestyle (such as diving to great depths and feeding on squid) could have survived the die-off and maintained a small, remnant population over the centuries. All of these Megalodon sightings and stories are compelling, but are they really enough to suggest that this massive shark is still alive? Is it still out there somewhere, stalking the oceans of the world? Is there any reason to worry about going in the water at the beach? If it makes you feel any better, mainstream science is unmoved by the evidence supporting the possibility of Megalodon’s existence today. Still, the idea of this monster shark out there patrolling the ocean deep is fascinating to imagine. There is still so much of the ocean left unexplored, the possibilities are almost endless. Do you believe it's possible that the Megalodon shark could still exist? Yes. The idea is scientifically plausible. Anything is possible, but it seems unlikely. Probably not, but I'm suddenly less excited about my trip to the beach this summer. No way! The Megalodon is as dead as disco! How big is a megalodon shark? The megalodon shark could reach a length of up to 60 feet, according to current estimates. This is much shorter that earlier estimates, where some researchers speculated megalodon might have been 100 feet long. That’s as long as a blue whale! Still, a sixty-foot shark is a really big fish. To put this in perspective, a very large great white shark may reach an adult length of 20 feet. Megalodon was three times as big! Megalodon may have weighed 50 tons, with some estimates putting them even heavier. Again for perspective, realize that the largest great whites are around 5,000 pounds, or about 2.5 tons. Any way you look at it, Megalodon was a really huge shark. It’s important to realize that researchers can only estimate these numbers, as no living megalodon or carcass has ever been found. Sharks skeletons consist mostly of cartilage, so megalodon doesn’t leave much behind. However, there is an abundance of fossilized teeth, and a few fossilized vertebrae. The largest megalodon teeth are over seven inches long, where a great white tooth is between two and three inches long. Comparisons with the great white give researchers a rough estimate of the size of the megalodon shark. If more information becomes available, those estimates may change. Did the megalodon shark have any predators or enemies? The megalodon shark was an apex predator, meaning it was at the top of the food chain. Apex predators have no natural predators of their own, so a fully grown megalodon had little to fear in the prehistoric oceans. It was the big boss of the ancient seas, and it hunted a wide array of prey items. However, even apex predators end up on the wrong end of the lunch menu now and then. Modern great white sharks are apex predators, but they are sometimes hunted and killed by orcas, another apex predator. So, it isn’t unreasonable to think this could have happened to megalodon. But orcas are larger than great white sharks, and they hunt in packs. What kind of animal could have taken on the massive, 60-foot megalodon shark? Livyatan melvillei was one contender. It was a whale as big as an adult megalodon shark, with foot-long teeth. It, too, was an apex predator, but would it have taken on meg in the right situation? It’s impossible to know for sure, and because shark skeletons are made of cartilage, not bone, we have no megalodon bones to reference for bite marks. Nevertheless, it is intriguing to imagine these two prehistoric hunters squaring off in the ancient ocean. But, if 95% of the ocean is unexplored, then how do you know? Also, 99% of the bottom is unexplored. Truthfully, the answer to this question is simply common sense: NO IT IS NOT ALIVE. Yes the oceans are very deep, with the Mariana Trench being over 7 miles deep, it is the deepest KNOWN point in the oceans. Also, think of the massive diet and amount of food it would require to feed that behemoth! And with all the technology we have and all the ships and sonar and submarines on the water....SOMEONE WOULD HAVE SEEN IT AND RECORDED IT ON VIDEO; by video I mean REAL evidence instead of all those bullsh*t photoshopped and misidentified sharks the kids see on youtube now. Megalodon would have long made itself known, as this creature would be massive and ocean life would be acting very cautious and terrified of this thing. Would I like it if it were alive? YES YES YES! But is it alive? NO NO NO. I thing the meg is still alive I Look it up on google it did not say any thing about the meg being still alive. megalodons can still be alive because 71% of the ocean is undiscovered so if they don't discover that there is no proof that they are extent. The megalodon shark is still alive. It could be in the Burmuda triangle. Well, The movie The Meg might be fictional, It might actually have some true facts in it. But I think from based off the movie, That there might be a cloud and if we go up that cloud, That will allow a Megalodon to come up that warm water. So therefore, I think the megalodon still exists deep down about 12,000 meters But, We still have only discovered 5% of the ocean, so It doesn't have to be all the way down, Just a theory. Over 90% of the ocean has yet been discovered so therefore I. Believe the Meg still exist. For Robert R Wynn , the black and white photo that you are mentioning unfortunatley is a fake , I know of which picture you are referring to because it was an obsession for me for awhile until I read something online or watched a you tube video about the picture but I belive that Megs still exist anything is possible. Yeah I was disapointed when I found out sbout the picture being a hoax the person goes into depth about and showing the original photo without the tail and fin in it and also the emblems and insignias on the boat were added or changed or altered also ...sorry to bear the bad news . The Meg with Jason Statham is set for release on August 10, 2018. It's based on the novel by Steve Altman. I'm pretty interested in seeing it too. Not sure when I will, but I'll either be posting a review or updating this article. I see most movies at home so it may be awhile. In the trailer the shark looks much bigger than current megalodon size estimates, though everything I read says its 70-75 ft which is on the high side but in the ballpark. What the heck it's just a movie. I spotted one in Lake Huron last summer. Discovery Channel will be interviewing me next month. Can scientists explain how half of a blue whale washed up on the shore of Hawaii when that would be a megalodon 's main prey? Yay! I can try again! I believe Megalodon still exists as the only reasons for it to have gone extinct is the cold, and hunger due to prey migration. However, if its prey can adapt to the cold, why couldn’t the Megalodon? Also, it could have simply followed its prey, or adapted to the deep, hunting colossal squid and the sperm whale to this very day. You are welcome to try again. That sounds like a comment that would add to the discussion in a positive way. If you post links or copied content, go off-topic or use profanity it may be rejected by the filter. Otherwise, I don't know why I wouldn't have seen it. It was listing the reasons that Megalodon would still be living. What was your comment? I typically approve all comments that makes sense and don't violate any of the sites rules. There are also filters that catch them though, so there is a possibility I didn't even see it. Why didn’t you authorize and publicly post my comment? No its not out there I'm stunned at how many people are suckered in by this. For it to still be around it would have to be in significant numbers to keep the population going. Young ones lived in shallow regions and would be sighted easily and adult fed on whales, of which we have never found any remains of giant shark attacks. They also did not and could not live in the trench. The "sightings" produce no evidence, not a shred. The teeth found by HMS Challenger were found in the arctic, somewhere they could not survive and they were preserved by the cold not fresh. This article mentions it but its now mostly accepted they were NOT related to great whites. I know its nice to be carried away in this stuff but theres plenty of REAL things to fear in the oceans. Like killer whales, the things that knocked megalodon off its perch. Very well written article! Good job! I believe that there could be a Meg out there, but this article made me afraid of water haha! Everyone here is a goon saying that Greenland sharks are as big or that whales are going extinct because of megalodon. Wrong facts. Its actually Greenland sharks their massive almost as large as megaladons. From what I've Seen and Thinking or my believe that the Megalodon is still alive...Since we only explores 95 percent of the ocean it's still more to explore rigth?I Started asking myself why this blue whale,Sperm whale,and other more whales are going to extinct?!WHY? !IT'S VERY IMPOSSIBLE that those Whales Extinct for no reason rigth?Maybe because of the mother Nature or the GLOBAL WARNING?! I Don't think so...If it's because of the Temperature...They can just move or find another place that we're they can adapt the Climate/Temperature For me I realy Believe that the Megalodon is still Out their somewhere Hunting and Eating smaller creatures. Great article. Plausible that Megalodon is still lurking in the depth of the ocean. The mariana trench is almost 11000 meter deep so there is enough space for it. I believe it is still alive, just about 30-35 feet long. Marine Biologists claim Great White's cannot reach lengths of over 25 feet, not possible. I have personally seen a "great white" dwarf a 26 foot Chris-Craft, and seen a few shows that show a great white at 32 feet. If Whites supposedly don't get this big, what could it be? Has the appearance of a white, but, much, much bigger! Don't be surprised if they are still out there, just smaller now. I wanted to say that my last post was too dismissive. 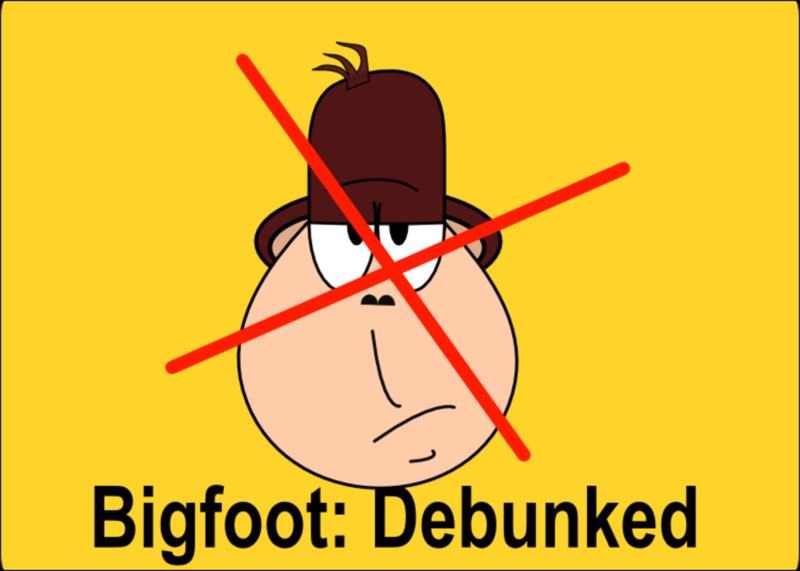 And if the point of all of this is to admit that one cannot absolutely prove a species is extinct, then I agree. That said, I do not think there is any reasonable doubt as to C meg's extinction at this time. What bothers me the most about all of this is that people would rather spend time fantasizing about things that do not exist when there are all manner of fantastic and mysterious and weird things that DO exist. Real scientists are involved in the real labor of discovering, classifying and understanding real animals, insects and microscopic organisms all across the world, adding to our appreciation of the world as it is. Looking for things like this is not that. Sure, it's fun, but it has no scientific value whatsoever. I wonder how much your commenters know about ACTUAL shark species, of which there are hundreds and hundreds. There is more than enough mystery to them to satisfy a curious, hungry mind. 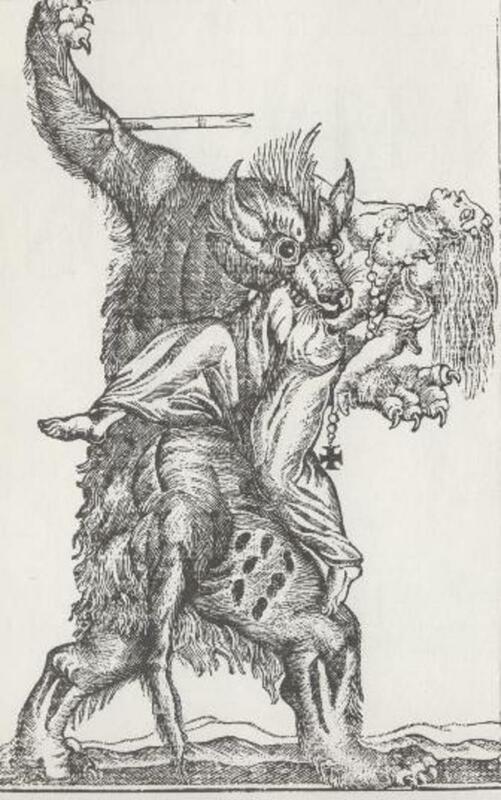 So this turning to purely speculative and mythic creatures is rather dismal. There are anecdotes about giant sharks, yes. Did they see large sharks. Probably. Are the sharks as large as they have said it was? There's no way to know. But we do know eyewitness testimony is unreliable. What's the best explanation that accounts for the facts, which are: C megalodon disappears from the fossil record completely around 2.6 Ma; stories and legends and accounts of gigantic sharks are told by some people, written in fiction and nonfiction, used in mockumentaries (and some dubious documentaries, like MonsterQuest)? We'd want to posit the least amount of unknown variables and assumptions. I think the best explanation that accounts for what we know is that C megalodon is extinct and exceptionally large and rare white sharks are seen from time to time, while other species, especially the basking shark, are misidentified. Add to that the unreliability of eyewitness testimony, outright hoaxes, and pure and simple lies. Despite the claims, no physical evidence has been found to support the hypothesis that C megalodon is still around. And the fact that it leaves the fossil record completely cannot be explained if this massive fish were still predating in the oceans. We should be finding fresh teeth, like we do for C megalodon's distant relative, the white shark. I believe that the Monster Megalodon is still stalking the oceans out there. I often thought about the possibilities of it still alive. I read the article and watched the video. I believe the Megalodon survived extinction and has adapted to a lifestyle that has enabled it to live virtually undetected in smaller numbers. I bealive that some of the creatures or animals that live in the oceans that we humans thought were extinct, may be still alive in the deep ocean. For example the megladons may still roam around the ocean but most of the time hiding because they may be afraid because they think they are going to get hunted down. Also the photographers may be keeping the photos to them selves because they may care about the environment and afraid of getting them extinct. Personally, I doubt if this ever gets answered by anyone but this is my belief on the idea of megalodon existing or ever coming back to show itself to anyone, nature has an incredibly strange way of fixing itself. We, as human beings, think that we can wipe out this creature or that creature and not worry about the results. I think that if we continue to kill off certain animals that others will eventually take their place. 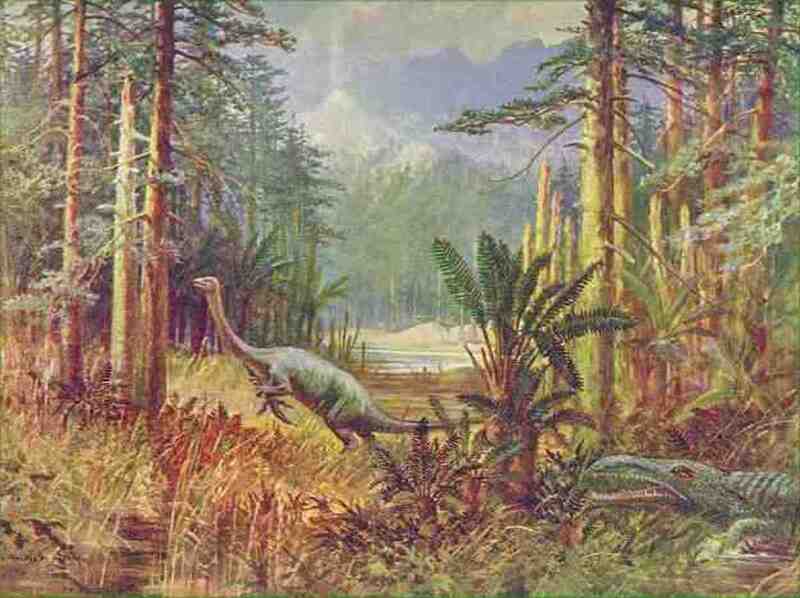 My proof of this is the dinosaurs, then the prehistoric animals that followed. If we continue to kill off the animals that we have on this planet right now, nature will develop new ones and personally I do not want to see 65 to 70 foot creatures walking the Earth or swimming through the ocean again. That's one thing that we do not need. Scientists are saying the ocean temperatures are increasing, this might signal a comeback. Megalodon is out there somewhere, I mean even if there's not an actual "megalodon shark" that doesn't mean that there is none... For instance, scientists believe that megalodon closely resembles our modern day great white sharks with the main difference being the tremendous size of the megalodon. Now.... This is my theory, what if megalodon shrank over their evolution and what if now it is actually the great whites that we see today? ref: The Beast response: "there is no way this shark can still live. It was dead billons of years ago we the astros struck the earth"
First of all Megalodon (Carcharodon megalodon or Carcharocles megalodon) I hope you meant million vice billions of years. Megalodon was alive after the asetroid or comet that killed the dinosaurs occurred somewhere between 65 million or 66 million years ago. The asteroid or comet was at least 10 kilometres in diameter with an explosive force of approximately 100 Teratons (100,000,000 Megatons). It is estimated that Carcharodon megalodon or Carcharocles megalodon died out approximate 1.5 million years ago. However, we keep discovering what are known as Lazarus Taxon creatures - creatures we thought were extinct but are rediscovered - like the Coelacanth. Another point is look how long it took scientist discovered the Blue Whale (Balaenoptera musculus). The Blue Whale was discovered in September 1692, by Sibbald, who found a stranded blue whale in the Firth of Forth —a male 24 m (78 ft)-long—which had "black, horny plates" and "two large apertures approaching a pyramid in shape". Everyone knows, I hope, that the earth is covered by almost 72% of water and has a maximum depth of nearly 7 miles. There are many trenches and deep areas in the ocean that have still yet to be explored. It is estimated that we only know approximately 10% of life in the ocean as well what is contained in the ocean. We are gradually learning about what is in the ocean and yet are very distant in understanding what is in the oceans. So, anyone who says something cannot exist any more need to become a Crypto Marine Biologist and or Oceanographer and either prove or disprove if something exists. It is not totally impossible that Megoladon survived to this day even though one of the main passage was closed when sea levels dropped revealing the Isthmus of Panama. Once again it is not totally impossible but the probability is slim - but again who knows for sure? Yea I'll bet there is one or two left! Megalodon IS alive i saw one it was 100ft. Your article was extremely informative. It also had my attention the whole time! The idea of this monster still existing is fascinating. My father is from Cuba and have heard many stories of weird sea creatures from him! Thx for posting this cryptid, it really makes my imagination explode with different thoughts about the shark. I have a theory about the submarine shark. My theory is that the submarine shark is a baby megalodon and is still growing . Also , the reason I think that is because the megalodon's prey went to colder areas in the world and adapted to the cold climate and the megalodon didn't have any food to eat and that caused it to die. So we humans were being stupid and releasing chemicals into the stratosphere and damaging it and in doing so that made our climate warmer and that gives the megalodon a chance to repopulate and that might of happened that is why people report seeing a so-called submarine shark. If my theory is right then we just released really , really , really , really DANGEROUS. Ive been into Megalodon for some time now and in my opinion still think its lurking in the waters. Thanks for this article on Megalodon. it really helped me understand more about the shark. There has been numerous sightings of Megalodon captured on footage that I have been trying to figure out if the shark in the video is Megalodon. So far im still finding new things to do with the shark itself. There have been sharks in Britain for a while now and im starting to think what could be in the depths of our oceans. Megalodon is over and extinct. Don't waste ur time in crazy fantacies. Also, I did read your article, and while it is evident that the Marina Trench is a possibility, I feel it may not be the only possibility. While there isn't a lot of food options down there, I feel that an occasional Sperm Whale or a couple of squids may help a meg survive. It has been observed that great whites can survive for more than 2 months on whale carcasses. While the meg is larger, I feel it may also be more efficient at hunting down it's pray, so may need to spend lesser energy. Also, we don't actually have any idea of the reproducing pattern of the meg. It may be that reproduction produces only 1-2 young or so, just enough to sustain the population, without causing an increase or decrease. Hi Prateek. Thanks for your thoughtful comment! It's an interesting theory with some compelling ideas, but also a few holes. I actually wrote an article about it a few years back called Does the Megalodon Shark Live in the Mariana Trench? 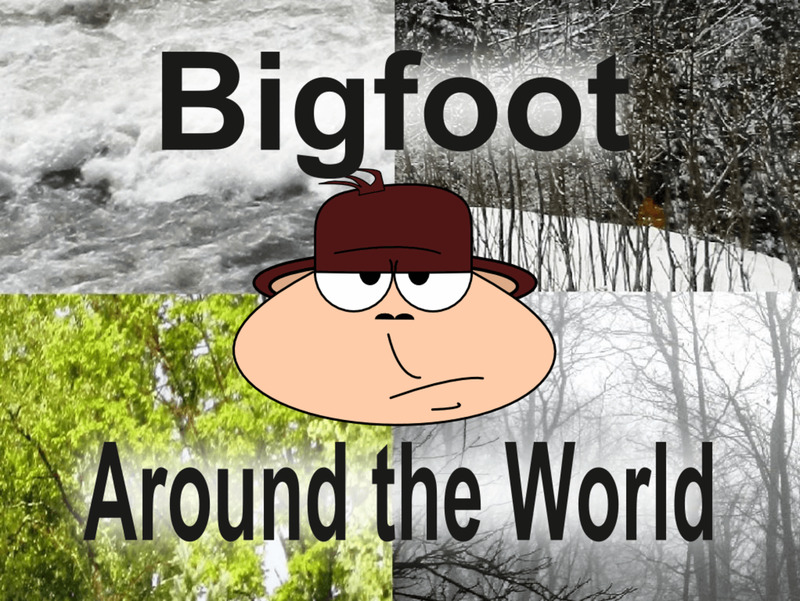 You can find it on this site. In my mind, the main issues comes down to whether there is enough food at those depths to sustain a population of Megalodon. Meg is believed to have been a coastal hunter, like the great white, so it would have needed to completely change its hunting strategy to evolve to live at such depths. On the other hand, great whites have been shown to dive fairly deep, and even prey on creatures like giant squid. If only a small population of megalodon had already it evolved to hunt and live at great depths, when the rest went extinct this small population may have survived. Of course the real problem is we have zero proof of this, but it is interesting food for thought. This is a one of the best articles I've read debating the existence of the Megalodon. I've been reading and researching about megalodon sharks for almost 4 years now, and I really can't accept that they are extinct. 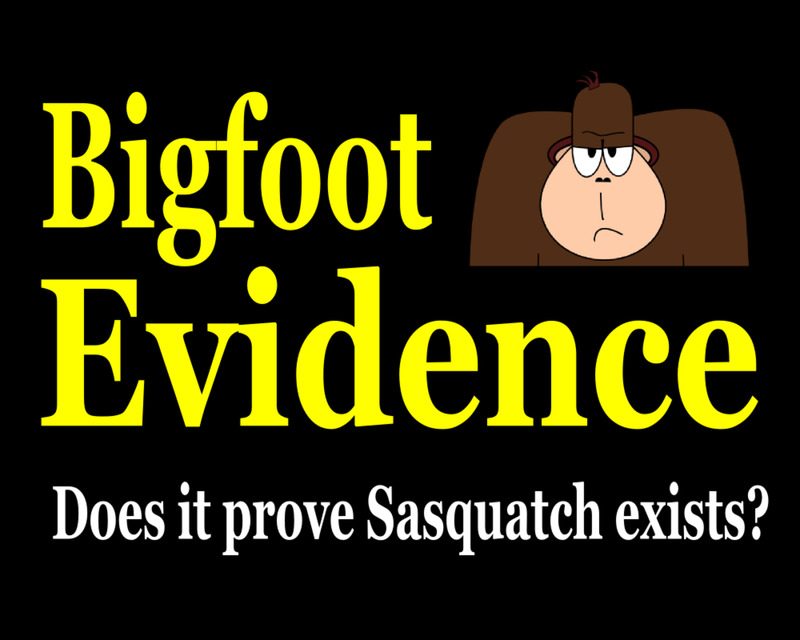 Sure, no evidence of its presence has been found, but Absence of Proof is Proof of Absence. A theory that seems rather appealing to me, is that the megalodon still exists in greater depths. As you mentioned in your article, the reason for extinction probably could be newer, smaller predators evolving to occupy the niche of the Meg. If that is the case, it is possible that few Megs started diving to deeper depths away from competition. (Few individuals within a certain species evolving to learn new techniques isn't a new phenomenon, best documented example is that of some Killer Whales propelling themselves on to shores to hunt for seals) It is quite possible that a some individuals moved into the depths, and have established a large population now. They probably never needed to come towards the surface anymore, since not a lot of other predators can survive in the depths due to the high pressure. The meg probably evolved to be able to tolerate such pressures. Further, one of the large cetaceans that lives in the depths is the sperm whale. Multiple sperm whale carcasses have been found on shore, killed due to attacks. Many of them have beaks marks suggesting attacks from squids, but there are few which end up on the beach fin-less. It is debatable if these could be due to an orca/ great white or a meg. There is no documented report stating the cause of the loss of the fin, and no report even claiming to have examined bite marks left behind. As you mentioned in your article, the only proof of existance of the giant squid we had was the washing up of bodies on shore. There could be a reason why Megalodon bodies haven't washed up yet - cannibalism, a scavenger at the bottom of the ocean, etc. Similarly, if the body was consumed before it reached the surface, any teeth that were left behind may have sunk to the depths of the ocean. Alternatively, we have no idea about how often megs reproduced or how many young ones they gave birth to. It is quite possible that population that migrated to the bottom of the ocean hasn't grown for millions of years, and that is probably why we still can't find any evidence for their existence. @Frank: The show contained fabricated and fictional material. There is no widely accepted proof that Megalodon exists today. However, Megalodon did once really exist long ago and some people think it is still out there based on what you've read in this article. I think the megalodon is real I have been studying it for a while now and have looked at loads of sightings and the odds are of megalodon being alive still are pretty high. I don't want to see fictional anything when it comes to sharks or Megalodon. I just like when they get new footage of never before seen behavior that makes you say wow that's cool. Most footage I saw was of behaviors already known. I do love learning of white sharks migrations and see how far tagged white sharks travel. My favorite thing this year was seeing how all sharks react to the pheromones of dead sharks and how when they smell it they disperse immediately. It could be used as a new shark repellent or the scent that the American crocodile puts off and how they used it when they were studying bull sharks and they made shark repellent with it and it made bull sharks totally leave the area almost immediately!! I hope they start making those shark repellents for divers and surfers or anyone who is in shark waters. It could easily save their lives. As always I learned a bunch from shark week. It's still the best week of the year!! I was kind of glad Discovery let the Megalodon thing lie this year. On the other hand, I would have loved to see a real documentary about Megalodon. Shark Week seems to have reverted to factual, informative programming and that's a good thing, in my opinion. I think sharks are already fascinating enough without fabricating weird pseudo-documentaries. After just watching Shark Week 2016 I'm disappointed that there were no shows on Megalodon. All in all it was an interesting week of shows like always but there weren't any shows that just made me go wow!! Normally they do have a few shows that do. I remember seeing one of the underwater cameras where you could see in the distance something passes by that they thought to be around 60 feet in length and if you watch it in slow motion it looks like the body of a shark. That is enough proof to me that there is a very good chance Megalodon is still alive. Last year there was a guy who discovered numerous different shark species never seen before. Although they were small sharks they were still sharks that were undiscovered until then. That show was on Shark Week 2015. I like to be optimistic and think it still exists. The ocean is too big and so undiscovered to scientifically say it has gone extinct. I don't understand how scientists can say something is extinct just because they haven't seen one. Explore the entire ocean then say it. But on a separate note if we don't stop the senseless killing of sharks for a stupid shark fin soup our ecosystem will suffer greatly and we won't have sharks to explore. Hopefully Shark Week 2017 will be one to remember!!!! Only 365 days away!!!! Thanks rhea. I agree there is a very small possibility that animals such as Megalodon could still exist today. However, I suggest you read a little more on the First Law of Thermodynamics. I don't think it really applies to Megalodon. Ecosystems must balance themselves but that can be done in an infinite number of ways, and the absence of a super-predator doesn't necessarily mean another super-predator took its place. Hey crptid I have no idea of the size of the megalodon but I can assure you that it still exists .According to Sir Albert Einstein no energy can be destroyed or can be created .So we can apply the same theory to the great Megalodon .Even if it must have not been able to evolve or must have gone extinct ,it created something alike . Something same . @Lee: Megalodon fossil evidence consists of teeth and a few vertebrae. However, some researchers have done reconstructions of megalodon jaws using the teeth. I'm not aware of any efforts to explore the Marian Trench with technology such as you described. However, I do know that deep-ocean exploration often does consider ways to view wildlife without disturbing it. Some large, deep-water sharks have been documented this way. But remember that expeditions that explore and study the Mariana Trench are not concerned about Megalodon sharks, so it isn't likely that their efforts would focus on finding a massive predator. Also, retrieving anything from the depths of the Trench would be a costly and dangerous endeavor. The cameras or monitors would have to have some kind of buoyancy system that allowed them to come back to the surface on their own. I don't know about the satellite thing re: the Super Predator. It would be pure luck to capture an image of something like from a satellite, and the action would have had to occur relatively close to the surface. Keep exploring good ideas though! That's how progress is made in science and crytozoology. I think they still live in a smaller form. We have only discovered about 35% of the ocean I believe it's absolutely possible for a shark of that size to live. I believe in lots of compelling evidence from cryptozoology, and I personally believe that meg is real. Why is just due to the fact we've only discovered less than 5% of the world's oceans, so we can't say if it's dead or not. I recently watched a documentary on discovery channel last January entitled Cripnid in which a whole host of creatures previously un-known to science where mentioned, most turned up to be ridiculously laughable hoaxes, others where less easy to be dispelled. If megladon still exists I certainly wouldn't right off that possibility as animals in nature that where previously thought to be extinct have simply evolved or adapted to new environments, Also recently there have been cases of great-white sharks or whales that have turned up washed ashore dead that have big bites taken out of them by some mystery predictor, can this all be coincidence?, or is it finally living proof that such a creature still exists and if it does should science give it at least a chance it's not dead but instead rare or reclusive to find. 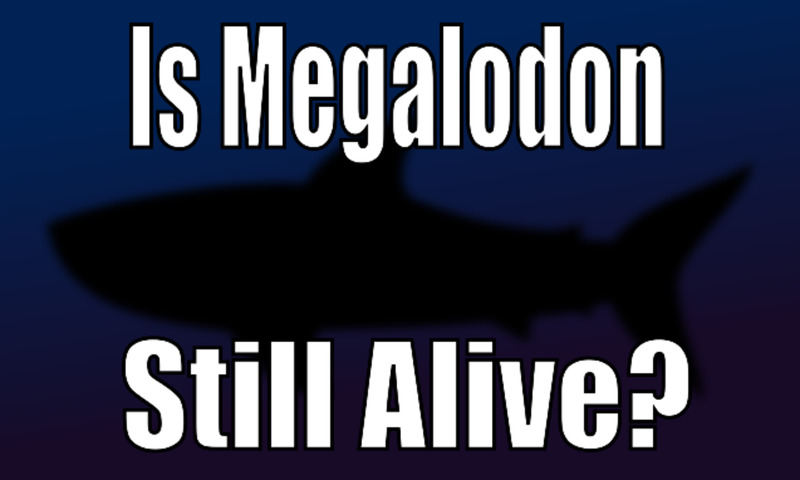 However I don't believe that all of the video accounts of meg are real but if someone has some-way of providing proof that megladon is still alive then maybe modern science should stand up and take notice and provide protection for such a rare creature to be left alone. It seems very unlikely that this creature is still alive, if it is, we would probably find a lot more dead whales with giant shark bite marks on them. And if we already have found all of those other large creatures in the abyss, wouldn't it be easier to find an even larger megalodon? @Paul: Even in our world today animals barely escape an attack and have visible scars. For example, live sea lions often show scars from great white shark encounters. I admit it seems unlikely that Megalodon would have had any trouble tearing through whatever was in front of it, but surely there had to be cases where lucky whales barely escaped with their lives.